Beer...on Honeypot Blogs..,are you sure? 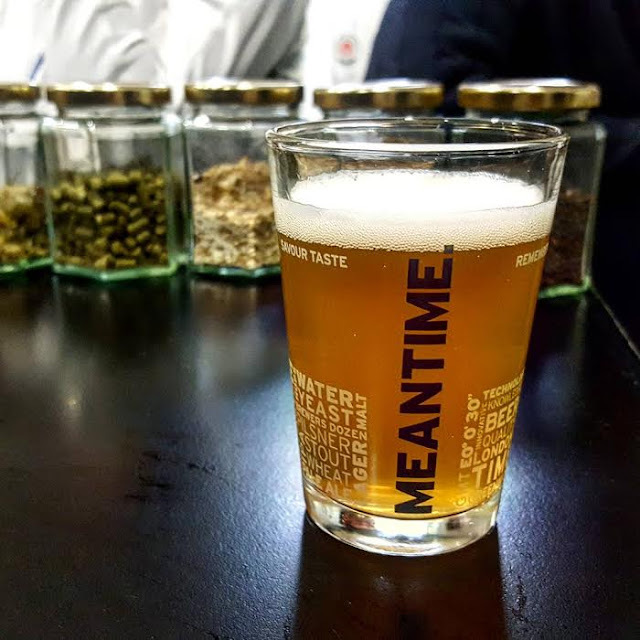 Well basically, I bought the Meantime Brewery Tour for the geek for Christmas and we only just got around to booking it in. 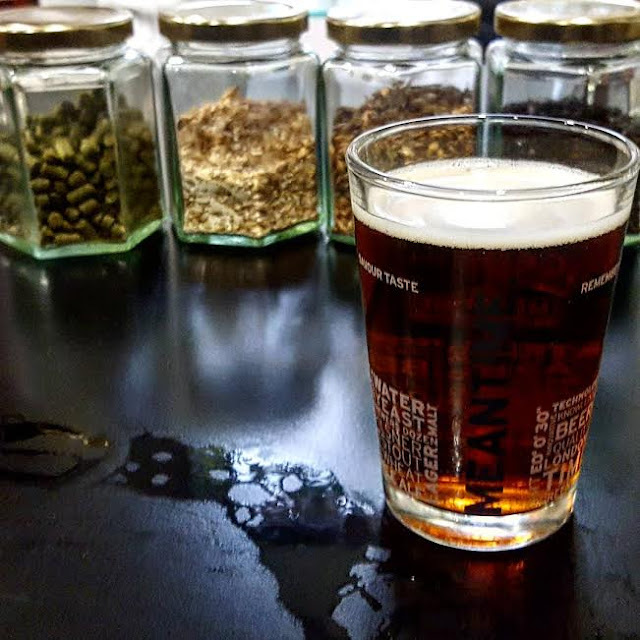 I love a little drinky tour and whilst I'm not the biggest fan of beer I wanted to say I actually really enjoyed it and thought I should share my experience with you guys. 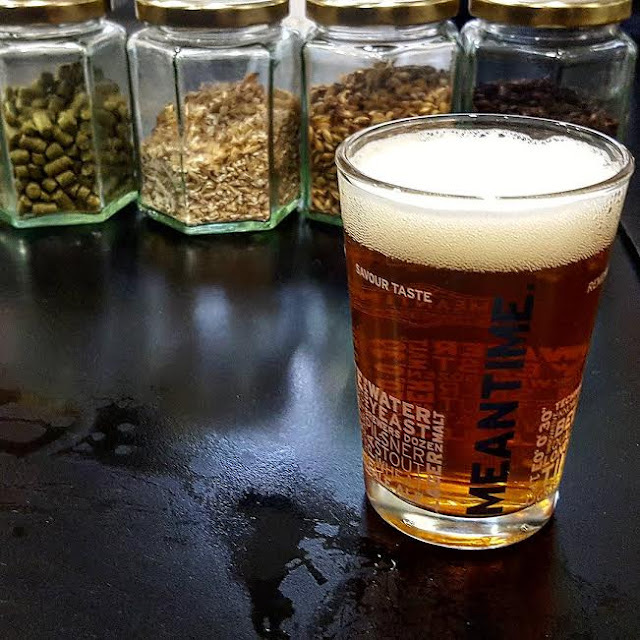 Meantime Brewing is actually based in Greenwich and other than the O2 there is naff all there but don't you guys worry, because the Brewery has their own pub, right outside so if you do rock up an hour early they've got you covered. 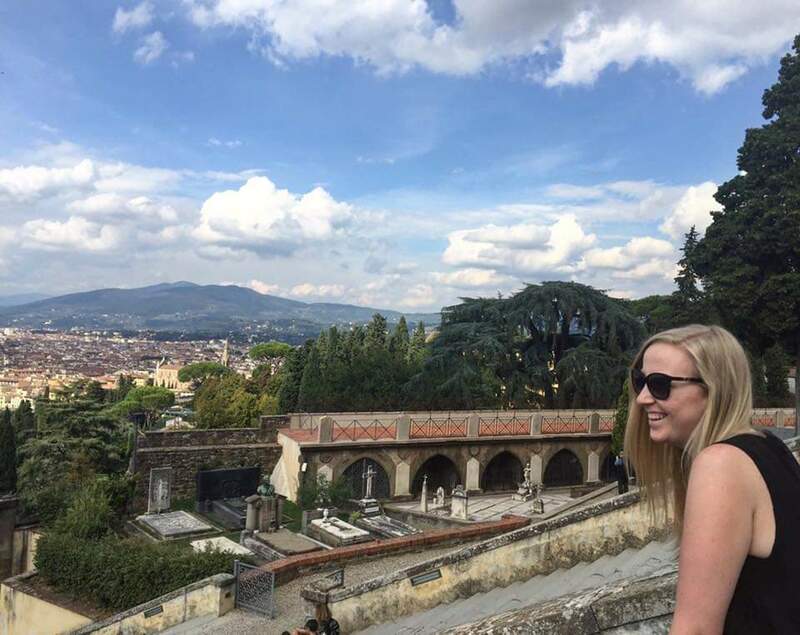 I have to mention that the tour is a pretty hefty 2 hours long so it isn't for the faint hearted, but there is a rather wonderful reason why. 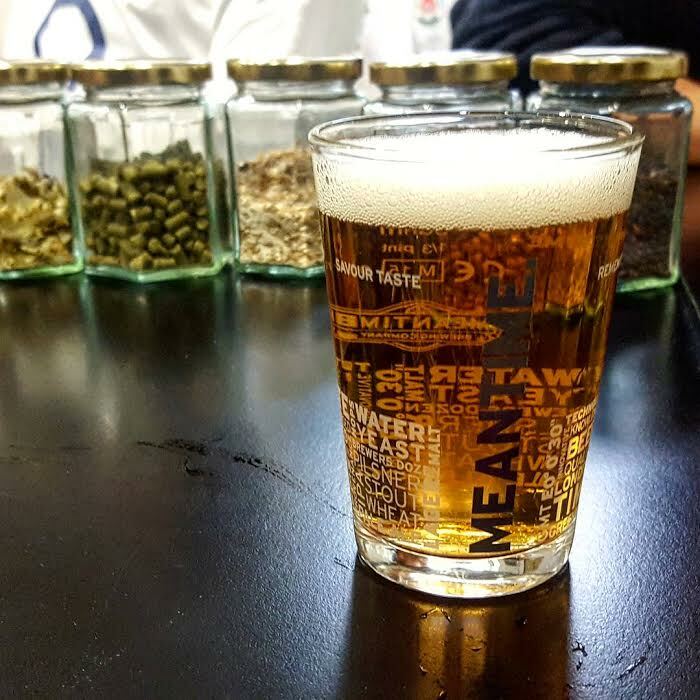 The structure of the tour is firstly, they talk you through a variety of different beers before showing you how they actually brew it all and this is the main bulk of the tour at an hour and a half. Our tour guide Tom is clearly so passionate about the beers and really knows every minute detail as well as being extremely funny. As you can see, we really did have a variety of different beers, starting with a London Lager which I must admit I was a bit indifferent about tasted like most lagers from an uneducated pallet like mine, I can't remember what the second one was but again I wouldn't say I had a very big opinion of it. Moving onto a rather cloudy wheat beer this is where I started to actually taste the differences, Tom advised that not everyone likes a wheat beer and I totally get why he would say that. It's quite odd because it's a little thicker in taste than some of the others and perhaps a little drier really unusual but I actually quite liked it. This was followed by the Meantime Stout which I bloody hated, it's just not my kinda drink. The fifth one was easily my favourite called the Yakima Red, which is a deep red in colour but has like a citrus zesty taste to it, being someone who has never ordered a pint of beer in any pub in her life, I could happily order this one again I just found it really light and loved the fruitiness of it! 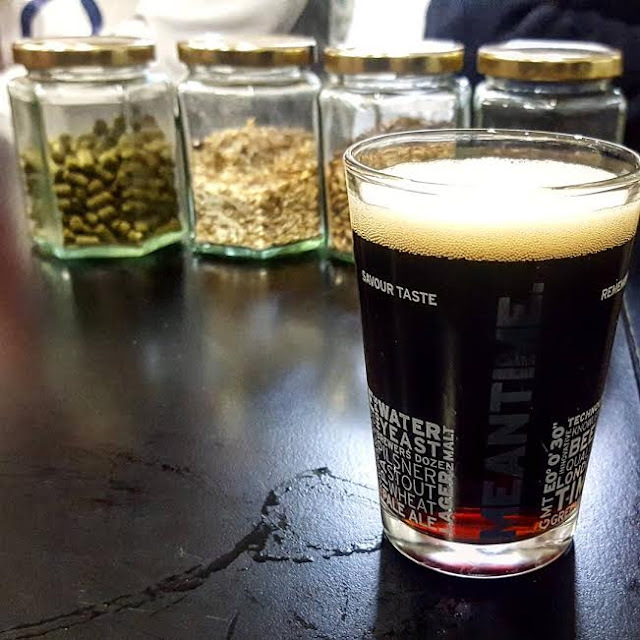 The last one was another "love it or hate it" kind of beer and again, I can't remember what it was but it was hella malty and fruity - think malt loaf in a drink form. I was actually surprised how much I liked this little guy! As you can see the beer measurements were ample, I'd said probably a 3rd of a pint in each glass and they just kept coming. After we drank all this booze, the last 30 minutes of the tour was when you had to put on your little goggles (not the beer ones, I definitely already had them on) and had to walk around the different machinery learning how it all works which is pretty interesting stuff. Even down to bottling the beer, I was really impressed by the sheer volume of beer their produce daily. I think overall it was a great tour, a very British laid back tour that I really bloody enjoyed and even though I am not a beer drinker it was fantastic, if you love beer or know someone who does the tickets were only £20 per person it makes for a great gift so just book it in. 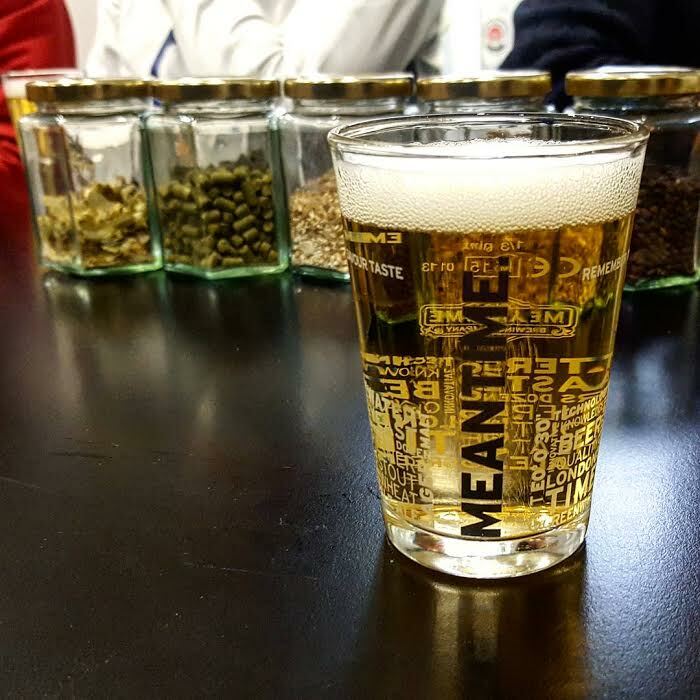 Are you a fan of beer?